In episode #25, Cove members Millenia and Roberta discuss the December 2012 pick, A RELIABLE WIFE* by Robert Goolrick (#145). We want to know what you think. Did you enjoy A Reliable Wife? We're happy to have author Kathy Hepinstall join Cove members Millenia and Roberta for episode #24 of the Cove podcast, discussing her latest novel, BLUE ASYLUM! * This is the Cove's November 2012 book, and our 144th pick. Tune in as Kathy shares how the story and characters came together for her, her latest projects, and more! Are you a Kathy Hepinstall fan? Have you read BLUE ASYLUM? Any of her other novels? Please comment below and let us know your thoughts! In episode #20, Cove members Millenia, Monica and Roberta discuss the July 2012 pick, MICHAEL VEY: The Prisoner of Cell 25 by Richard Paul Evans! We clocked in at just under 20 mins. (19:13). Listen in and share your thoughts with us...Have you read Michael Vey? Do you plan to read the sequel, Rise of the Elgen? Episode #19 is a special edition of The Reading Cove's podcast - Millenia and Monica discuss the blockbuster classic, PEYTON PLACE by Grace Metalious, a recent group buddy read! There's lots to dish about with this book, including how all the salacious scandal affects modern readers! Listen in and share your thoughts with us...Have you read Peyton Place? Seen the movie or television series? Read the sequel, Return to Peyton Place? Share your thoughts, we're listening! 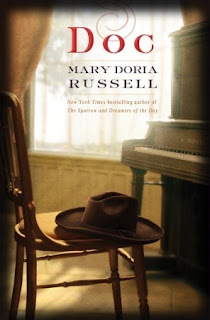 In episode #18, Millenia, Monica and Roberta discuss the June 2012 pick, MAGNOLIA WEDNESDAYS by Wendy Wax! Again, we made it in at just under 1/2 hour (28:33), and we had an enjoyable chat about the book! Listen in and share your thoughts with us...Have you read this book? Do you recommend other titles by Wendy Wax? We're listening! In episode #17, Monica, Millenia and Roberta discuss the May 2012 pick, WHISTLING IN THE DARK by Lesley Kagen! Like last month, we clocked in at just under 1/2 hour and had a great discussion on the book! Listen in and tell us what you think! 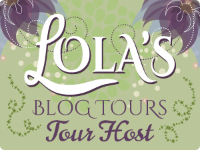 Have you read WHISTLING IN THE DARK or any other titles by Lesley Kagen? Note: Spoilers abound. Our podcast is for those who've read the book. 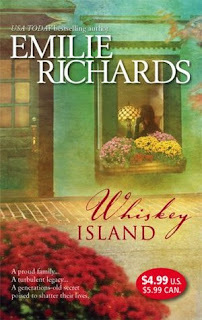 In episode #16, Millenia and Roberta discuss the April 2012 pick, WHISKEY ISLAND by Emilie Richards! We clocked in at just under 1/2 hour, and had a very nice chat about the book! Listen in and share your thoughts with us! Have you read WHISKEY ISLAND or any of Emilie Richards' other titles? In episode 13, Cheryl, Millenia, Monica and Roberta discuss the January 2012 pick, TELL ME YOUR DREAMS by the late, great Sidney Sheldon! We clocked in at just under half hour and really enjoyed the discussion. Listen in and share your thoughts with us! Have you read the book? Are you a Sidney Sheldon fan? If so, what made you a fan? And here's a lovely 1998 interview with Sidney Sheldon on Charlie Rose. He discusses TELL ME YOUR DREAMS, his writing process, motivations as an author and much more! Enjoy!